Hello, there! 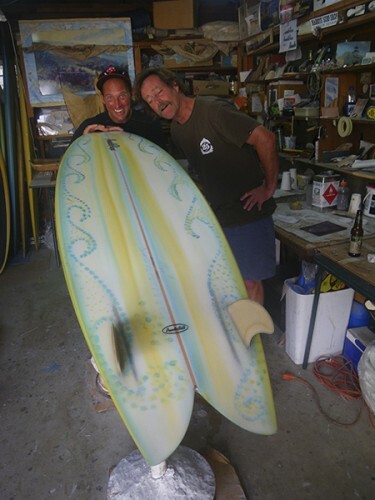 Steve built this sweet Pendoflex high aspect fish for Frank by hand, with care. 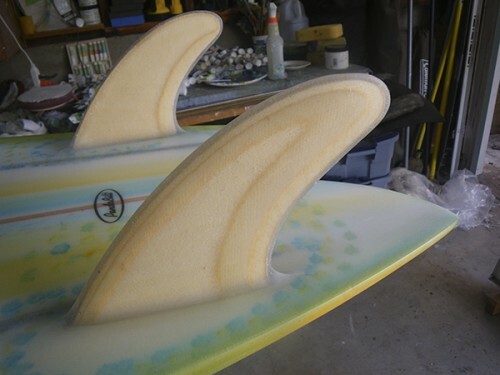 And he hand-crafted its gorgeous fins from special Baltic birch. 2 Comments on "Beautiful Pendoflex high aspect fish for Frank"
Another in a beautiful string of fine surfcraft. 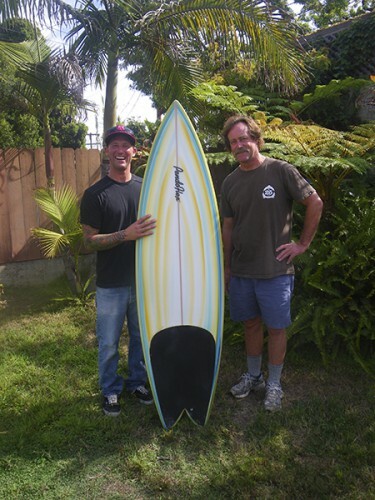 Steve you are making it harder and harder to stay on the all surfmat diet! Hi Bruce, Thank you for your kind words, please know that you can come by anytime and take one of ours out for a spin. Cowa-flexit! « Sweet 5′6″ Pendoflex Duckie for Mr. C.G.